Hamish, who celebrated his first birthday in December, resides at the Highland Wildlife Park in the Cairngorms. The cub was photographed by park keeper Vickie Larkin playing around and shaking snow off his snout. 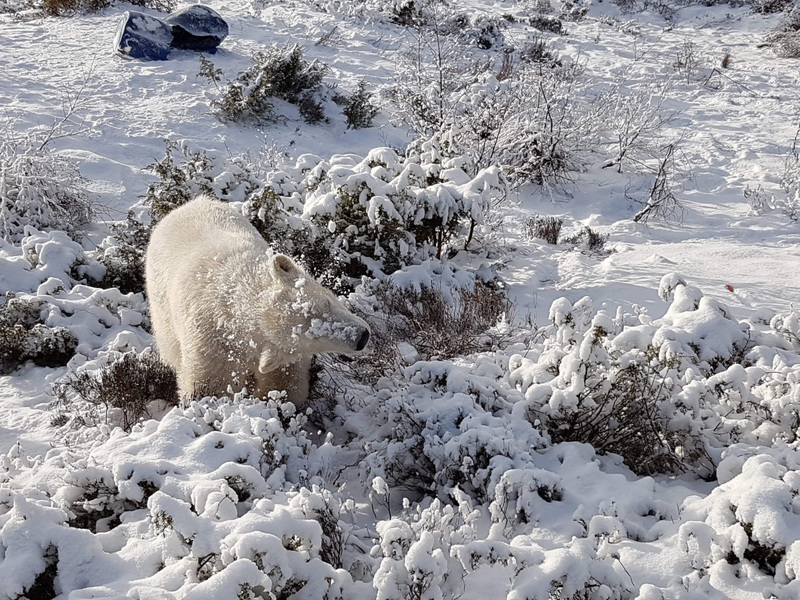 Hamish was the first polar bear cub to be born in the UK for 25 years when he arrived on December 18 2017. A public vote was held to choose his name, with around two-thirds of the 36,000 votes cast opting for the winning moniker.